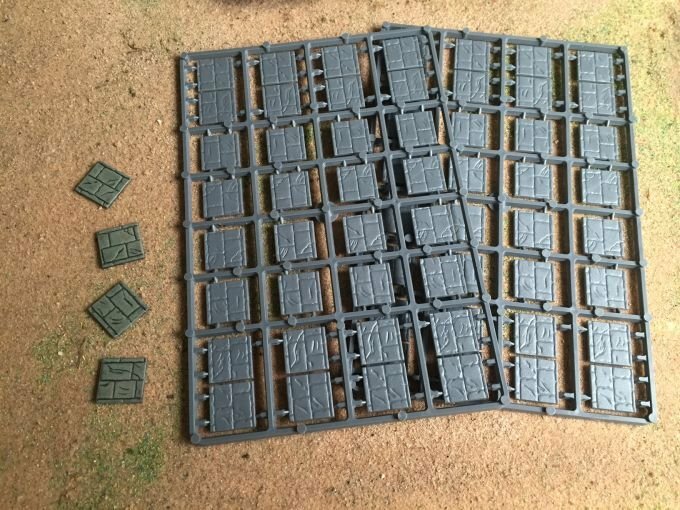 20mm by 20mm square bases. Paved Effect. Great for Urban skirmish figures, including the Fantasy skirmish game Frostgrave.